It had the appearance of a scandal in the making. 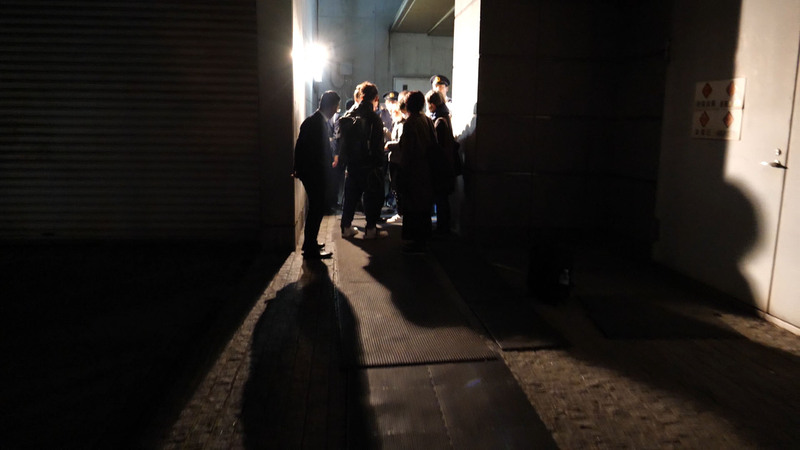 On March 12, a late-night scuffle broke out at the Tokyo Regional Immigration Bureau, causing an outcry over the alleged “inhumane” treatment of a person being held there. That evening, relatives of Kurdish detainee Mehmet Colak and more than 50 activists tussled with immigration officials and police at the detention center in Minato Ward over its refusal to send the man to a hospital, as well as turning back two ambulances called by his family. Ultimately, Colak was taken to a hospital the next day, where he was diagnosed with dehydration and sent back to the detention center without further medical treatment. The fact that immigration officials initially refused to take him to a hospital certainly had bad optics. The incident led critics to draw parallels with the 2014 case of a Cameroonian detainee who died after being left in a private cell for seven hours, despite rolling around on the floor in pain and pleading for help. Colak’s case also drew the ire of politicians who called for stronger legal protection and medical care for foreign detainees. Amid that night’s chaos, details regarding the incident — some of which were erroneous — spread online, triggering allegations that Colak was denied proper medical care. As it turned out, however, Colak received better medical attention than is standard protocol at the detention center. His health has since improved and the incident ended without tragedy. And yet the episode raised several questions: If immigration officials were following protocol, why did they unnecessarily stir anxiety among his family members, as well as sow confusion? And even if Colak received medical attention according to protocol, are the rules sufficient? The following is a reconstruction of events as told by Colak’s family, as well as further investigation by a Japan Times reporter who was at the scene that night. Colak, a Kurdish asylum-seeker who arrived in Japan in 2004 after fleeing Turkey, has been in detention since January 2018, separated from his wife, Yasemin, and their three children. His requests for refugee status have been rejected three times. Late on March 11, Colak asked a Vietnamese cellmate to call staff at the detention center, saying he felt as if he was going to die. He went into convulsions and eventually foamed at the mouth before staff arrived, according to the cellmate. The next morning, Colak’s wife came to see him during regular visiting hours and learned of his condition. She was denied permission to see him by an officer who said her husband was not in a condition to meet visitors. After pleading with an officer, Yasemin was escorted to a meeting room and saw her husband being dragged into the room by two officers, who propped him up from either side. “He was sobbing, saying he had severe pain in his head and chest,” she said. After the 30-minute visitation, Yasemin begged to have her husband taken to a nearby hospital. Officials denied her request on the grounds that Colak had already been examined by a doctor on duty, and that he was in stable condition. Somewhat relieved, Yasemin returned to her Saitama home — only to rush back to the detention center after receiving a phone call from Colak, who again told her he was still in severe pain and the doctor who diagnosed him was actually a psychiatrist. “My husband said that he was dying and might not live until tomorrow,” she said. Back at the detention center, Yasemin was denied an explanation of his condition and was told to leave the immigration office after closing hours at 7 p.m.
Colak called her again, crying out that he was going to die. Exasperated, Yasemin’s brother called an ambulance and the police. The ambulance crew rushed into the building, but an hour later they returned with an empty gurney. Shocked and in disbelief, family members and activists blocked the ambulance from leaving, while the police tried to pull them away. The family eventually gave in after being told by the ambulance crew that a nurse has been assigned to stay with Colak all night. Subsequently, two immigration officers escorted Yasemin and Colak’s brother into the building, where they explained for about 45 minutes that the center’s licensed practical nurse had checked the detainee’s vital signs, including his pulse, blood pressure and body temperature. In consultation with a hospital, the nurse determined that there was no immediate need to take him to a hospital and instructed the ambulance crew to leave the center without seeing the detainee, according to a video recording of the conversation obtained by The Japan Times. 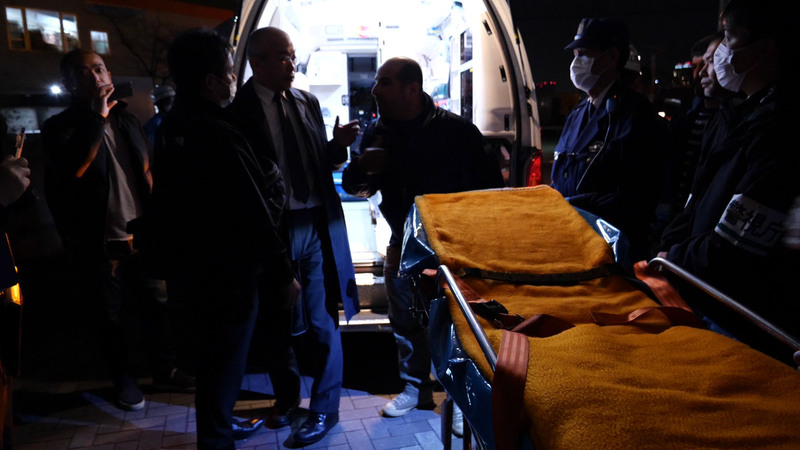 At one point, Colak’s brother asked the officers: “Who is going to take responsibility if something happens to my brother?” The officers responded that the Tokyo Regional Immigration Bureau as a whole would assume full responsibility. The second ambulance also left without its crew conducting a medical examination. Concerned about Colak’s condition, Yasemin and activists stayed at the immigration center throughout the night, while police blocked them from entering the building. Amid the late-night fracas, activists at the scene lit up social media and denounced the detention center’s refusal to send Colak to a hospital. Some took to Twitter to post comments like, “It’s sickening that Tokyo immigration locks ppl up without medical attention,” with some even suggesting that Tokyo doesn’t deserve to host the Olympics next year. Online news outlets followed up with stories denouncing the immigration authority’s “inhumane acts.” Some outlets raised the possibility that the detention center had broken the law, alleging that the duty nurse may have unilaterally made a medical decision. Meanwhile, politicians on the left, including Akira Koike and Yasufumi Fujino of the Japanese Communist Party, as well as Yoshifu Arita of the Constitutional Democratic Party, jumped into the fray. By the next morning, the commotion had become a topic of discussion in a Diet committee meeting. In a session with the justice minister and the head of the immigration center, Fujino of the JCP asked why immigration officials did not allow the ambulance crew to conduct an examination, which may have been in violation of regulations, and urged better medical treatment for foreign detainees. In addition, a group of lawyers supporting detainees and asylum-seekers released a statement denouncing the immigration authorities’ response, and even called for Colak’s release from detention on the grounds that authorities failed to provide adequate medical care. The next morning, Colak’s condition appeared unchanged when Yasemin met him during the regular visiting period. A few hours later, Yasemin was told by Colak’s lawyer, Teruo Tojo, that her husband had been taken to a hospital. After he was transported back to the immigration center that same afternoon, Colak told his lawyer that after receiving blood tests and an MRI he had been diagnosed with dehydration and was released without any medical treatment. “Colak still seemed ill. He was in a wheelchair and could barely talk,” Tojo said. Colak’s condition has fortunately improved, but he is still feeling ill, Yasemin said. Did authorities break the law? Online media such as Forbes Japan and Yahoo Japan initially reported that immigration officials may have violated the law if the duty nurse made the call to turn back the ambulance crew. According to the Medical Practitioner’s Act, a medical examination can only be conducted by a doctor, and a nurse’s role is limited to providing assistance. But according to a recording of a conversation that night among Yasemin, Colak’s brother and immigration officials, the nurse did not make the decision alone but did so in consultation with a hospital. Immigration authorities did not disclose the name of the hospital or whether the person who advised the nurse that night was a licensed doctor. In Colak’s case, a psychiatrist who goes to the center on Tuesdays examined him that afternoon. Psychiatrists, though specializing in mental disorders, hold a medical license and degree from a six-year medical school. But Colak continued to suffer pain after the doctor left after his scheduled hours at 5 p.m., and the nurse who checked his vital signs later — with the advice of the hospital — decided no further treatment was needed. Justice Minister Takashi Yamashita told reporters he does not consider this case to be a violation of immigration center rules, since a doctor had already diagnosed Colak and then a nurse, with the advice of the hospital, decided to turn the ambulances away. In fact, the detention center provided more medical assistance to Colak than required by protocol. 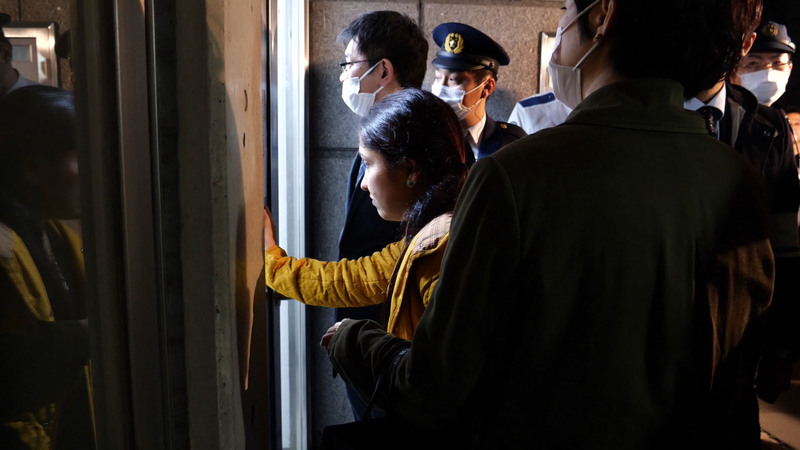 The Justice Ministry’s director of the Immigration Bureau, Shoko Sasaki, confirmed that a nurse had stayed with Colak all that night. However, this is usually not the case, according to Soichiro Tanaka, the immigration officer at the detention center who handled the March 12 incident. According to Tanaka, doctors are not available on Thursdays, Saturdays and Sundays, and are only available from 1 p.m. to 5 p.m. on all other days. If a patient becomes ill or injured when a doctor isn’t available, the center reports it to an off-site doctor who then determines whether the detainee needs immediate medical attention. So why all the commotion? The causes are many, but chief among them is the Immigration Bureau’s secrecy about Colak’s condition and keeping his family in the dark. It remains unknown why he did not receive any medical treatment even though he was diagnosed with dehydration. Colak’s family could not even confirm the location of the hospital where he was taken for an examination. Tanaka, the immigration officer, said such information is disclosed only when the detainee officially requests the release of such documents. In such cases, the center can take up to 30 days to release the documents, but if the release of numerous documents is requested, the process can take up to 60 days. In other words, immigration officials aren’t able to cover up details of such incidents forever — but then, why not disclose the details to reassure anxious family members and avoid confusion? But to begin with, if Colak and detainees like him had the same rights as an inmate in a Japanese prison, he and his family wouldn’t have had to go through this ordeal. Under Japanese law, prisoners are allowed to seek medical attention from the doctor of their choice. Immigrant detainees are not given that option under the Immigration Control and Refugee Recognition Act. If detainees had the right to choose their doctors, Colak would have been transported to a hospital when he first sought medical help, and there would have been no commotion between activists and officials outside the detention center. Instead, according to Tanaka, a detainee’s request for treatment at a hospital may be turned down if a duty doctor deems it unnecessary. Following this incident, Yamashita said the health of detainees is “important,” and indicated they deserve the same medical treatment afforded to prisoners. If any good can come out of the ordeal that Colak and his family experienced, it may be that detainees could be given better rights — but only if and when the justice minister keeps his word.